Kantoorruimtes in de Internationale Zone van Den Haag, zakelijk, ruim, inspirerend en centraal gelegen. The Zone offers a professional and inspiring work environment. The complex consists of various office buildings with a unique formula. In The Zone, you are more than just a tenant. As a user of the buildings, you will make connections with the other businesses and institutions. 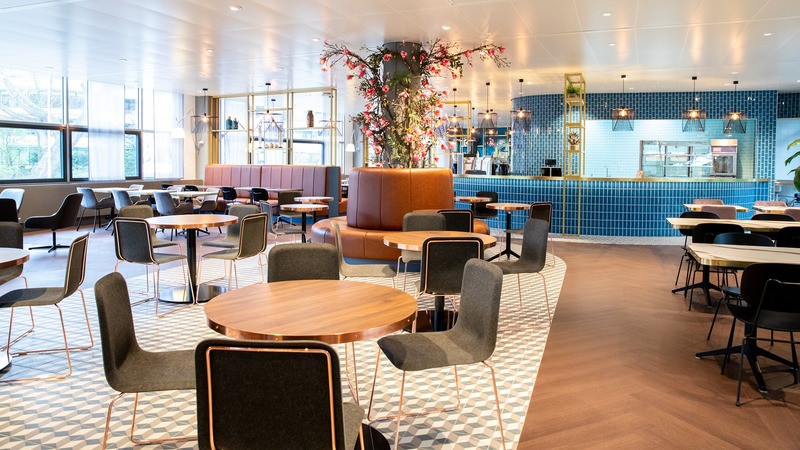 Alongside the refurbished, energy-efficient office spaces, you will also be able to use the shared, atmospherically designed spaces on the ground floor. These spaces feature coffee corners, facilities for lunch and meeting rooms. They are perfect for a good cup of coffee, a business appointment, a meeting, training session or event. This style of working, full of encounters and interactions, is very much in fashion at the moment! The Zone is located in one of the most beautiful parts of the city, opposite the Peace Palace. This location is part of the International Zone. The Hague is known throughout the world as an international city of peace and justice. This is not only due to the international court cases, but also because so many international companies and institutions are based there, particularly in this part of the city. The Zone blends in perfectly with this environment with its office spaces which offer a place for a mixture of nationally and internationally-oriented companies. Office space will be available in The Zone from early 2019. This is an excellent opportunity for your business! 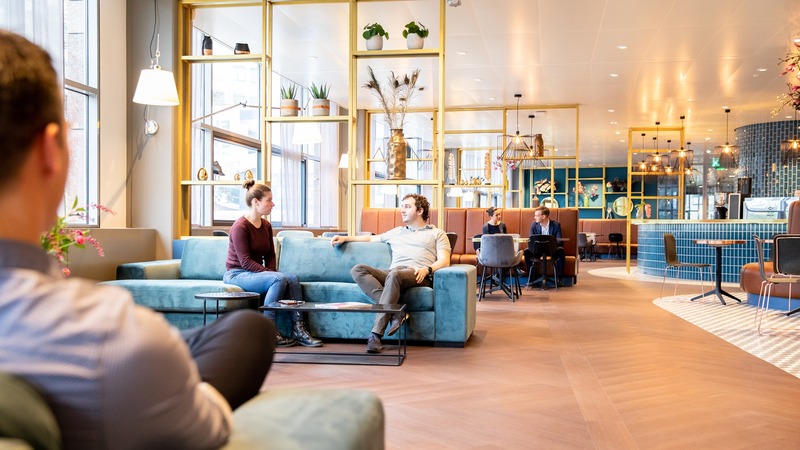 Office spaces in The Hague’s International Zone are the perfect location for many organisations. This part of The Hague has an atmosphere that is comparable to other international cities, but which cannot be matched anywhere else. After all, an office complex right in front of the Peace Palace and in green surroundings is justifiably unique. The Zone is located centrally in The Hague, which means it has excellent accessibility. It is easy to access for both clients from The Hague and for clients from surrounding cities such as Amsterdam, Rotterdam and Utrecht. 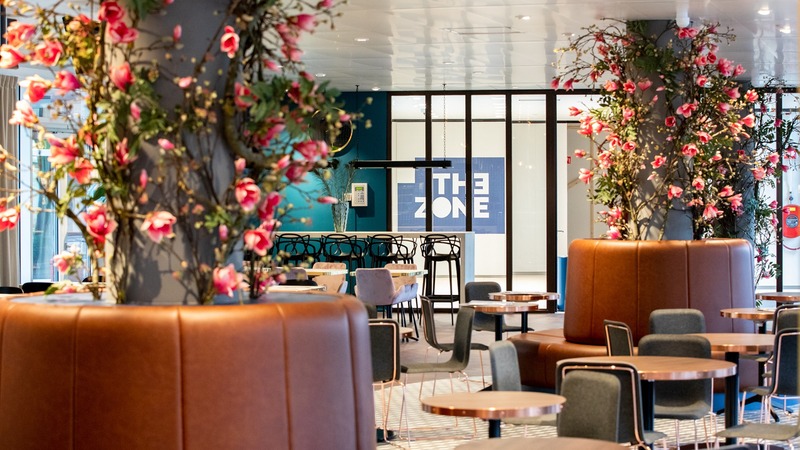 The Zone is also easy to access for international clients, as it is located between two airports – Schiphol Airport and Rotterdam The Hague Airport. The city centre, the beach and the many government agencies in The Hague can all be reached quickly. Trams stop in front of the building, but you can also quickly visit many locations by foot or bike. The Zone is perfectly accessible by car or public transport, and it offers parking spaces based on 1 parking space per 100 m². You can be on Utrechtsebaan in ten minutes by car, with connections to the principal motorways around The Hague (A12/A4 or N44). Excellent access by public transport: Bus 24 and tram line 1 take you to and from The Hague Central Station and Hollands Spoor rail stations. 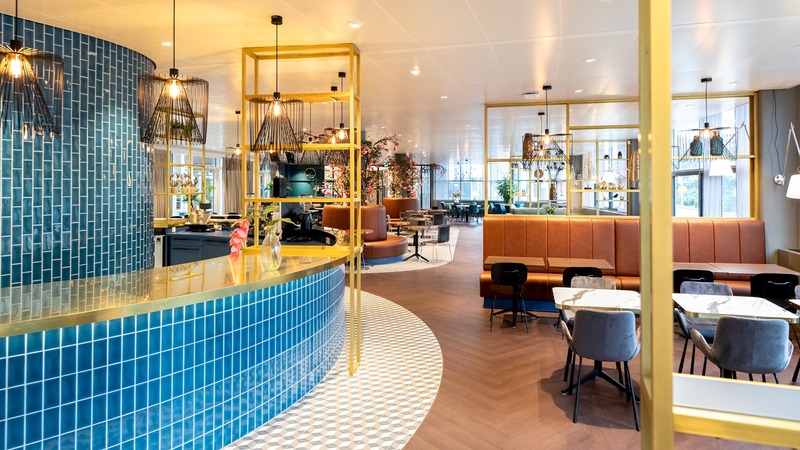 The Zone has great international accessibility due to its location between two airports, Rotterdam The Hague Airport and Schiphol Airport. Four smartly designed and light floors available, each measuring 1000 m². An excellent opportunity to relocate your company to this interesting location. The ground floor of The Zone is focused on encounters. Informal meetings can be held here throughout the day. In addition to meetings and training sessions, companies can also organise events in The Zone. That is practical and keeps costs down. The Zone is a proven success formula and many different companies and organisations have relocated here with full satisfaction.